Whether you are a swimming instructor or a school teacher—“Water Smart 101” is a program you can easily adapt and teach in the schools (not in pools) in an effort to save lives by educating our youth before they are let out for the summer. 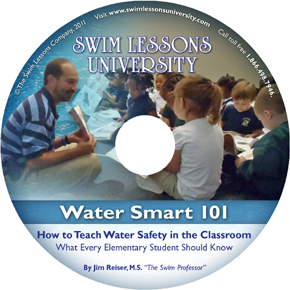 The "Water Smart 101” DVD makes teaching water safety in the classroom as easy as 1-2-3. In this program, Jim Reiser will share with you the tips and strategies you need to know to make your lesson water safety lesson more effective, engaging, and fun! "Water Smart 101" was inspired by South Carolina State Representative Wendell Gilliard who reached out to Reiser to create the program. Representative Gilliard proposed a bill in South Carolina that requires one-hour of Water Safety Instruction in the classroom in every elementary school in the state. The purpose of “Water Smart 101” program is to fill that requirement. In addition, this program also provides swimming instructors everywhere with the resources they need to deliver a dynamic and effective presentation. Part One is designed for the elementary school teacher. As the teacher, all you have to do is insert the disc into the DVD player, go to part one, and “press play!” Your students will then watch Mr. Reiser make the “Water Smart 101” Presentation directly to the children in your classroom. Once your students watch the video, you then administer a homework assignment, a review, and an exam. You can download unlimited access to the homework assignment (Water Safety Promise), the exam, and a lesson plan for just $35.00. Part Two is for the swim instructor who would like to carry the credentials of being an authorized "SLU Water Smart Presenter." In this section of the DVD, you will learn all the strategies, tricks, tips, and techniques that Mr. Reiser has incorporated to make the “Water Smart 101” presentation a huge hit at every school he visits. To date, he has delivered the presentation to over 20,000 children! Upon completion of the “Water Smart 101” Instructor certification test, you will instantly receive your authorized “Water Smart Presenter” certification which is endorsed by WABC. This certification will serve as a catapult in your landing appointments with your local preschools and elementary schools no matter where you live. 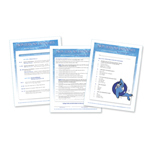 In addition to the DVD, the second half of the “Water Smart 101” course package consists of a lesson plan, a homework assignment, and an exam. For more information on these downloadable materials, click on the “Water Smart 101” Course Material Downloads, which you can find under the RELATED PRODUCTS at the bottom of the page. Michelle Zieg, who lost her son Brayden in 2008, agrees: "If we had only known what we know today, Brayden would still be with us today." It is well documented that there is a lack of knowledge when it comes to the inherent risks and dangers associated with swimming pools, lakes, rivers, the ocean, etc. According to the American Institute for Preventative Medicine, drowning is the second leading cause of accidental death for children 14 and under, and the leading cause of accidental death of children ages 5 & under. Reiser stresses that by the time children enter kindergarten, they are old enough to understand both the pleasures and risks involved with the water. 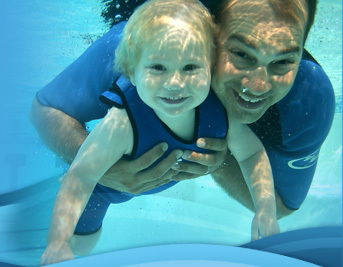 In the "Water Smart 101" lesson, you are not only provided with the resources to teach children how they can keep themselves safer, but this program also involves their parents as well--who are a vital link in the overall water safety plan. Parents can further reinforce the importance of this water safety education as they are included in the Water Safety Promise and homework assignment in the plan. 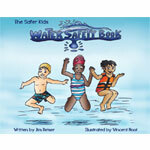 Reiser says,"You will never be able to drown proof a child, but you can teach them to be 100% Water Smart! 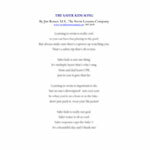 If all of our children are 100% water smart--there’s no telling how many lives will be spared."